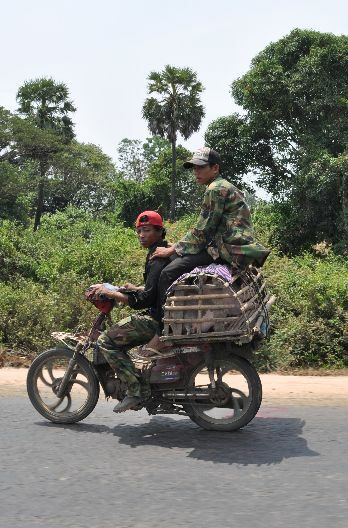 These two soldiers are transporting their precious cargo. . . pigs to market!